Ah wedding planning. Such a joyful event, but such an opportunity to become a bridezilla, especially if you aren’t hiring a planner or day-of coordinator. Wedding planning has the potential to pull sides out of you that you didn’t even know existed. I blame it on the extent we go to to customize each tiny detail and the external pressure to have a perfect event. It’s overwhelming. There were times I was less than pleasant to be around, especially as the big day got closer, and I feel bad that I let the stress get to me the way it did. If I could go back I would tell myself not to worry so much. I’d still have the best, most fun day of my life regardless of the tablecloths or music selection. One of the first things I did in the wedding planning process was make a checklist (surprise surprise). Really, it was a combination checklist/timeline that became my road map. I’d found a sample in a wedding magazine and translated it into my own time frame. Look for one that you can do the same with, or begin by jotting down things to do each month before your wedding day. One item may actually be “set a date”. Think about setting a budget, booking vendors, ordering and sending invitations, making a guest list, buying attire and jewelry, getting your marriage license, making honeymoon plans, writing vows, reception details, registering for gifts, merging bank accounts, and even working out and teeth whitening. Writing a checklist not only helps me clear my noisy mind, but it provides a good visual for what I have to do. Here’s a little secret: once you’ve been planning your wedding long enough, things start to run together. At least they did for me. Unique gowns started to blur into one white dress in my memory, or one photography package would become indistinguishable from another in my mind. I had to write everything down to keep it all straight. When comparing vendors to select your venue, florist, baker, photographer, band or DJ, etc., put their information in Excel. Create sheets where the vendors are grouped by type so you can truly see the same information side by side. Collect the same information from everyone to see how they stack up against one another. If you’re a Gmail user, you should be utilizing color coded labels to organize your inbox anyway (here’s a handy guide). If not, now couldn’t be a more perfect time to start! I would say about 90% of my emails were wedding related when I was wedding planning. I was always discussing things with my fiancé, bouncing ideas off my mom, and sending photos to my bridesmaids. While you could create one “wedding” label, I’d go further and create more specific labels in categories like ceremony, reception, purchases (for invoices), vendors (for negotiations and contracts), etc. The more organized your inbox, the faster you’ll find that one email about the flowers from the florist whose name you can’t recall. Dealing with your wedding expenses is a good exercise in money management as a couple. The wedding may be some of your first financial decisions together. Start making good habits now by diligently keeping track of your expenses to stay on budget. Save receipts, decide which one of you will pay each invoice, and decide on an organization method together. You could use a budgeting program like Mint or track purchases yourself in a spreadsheet. Regardless of what you decide, stick to it so that you may avoid the “we’re running out of money” stress later. It’s amazing how quickly things change. When I was planning my wedding in 2011, I bought and was handed down wedding magazines. Many of my ideas came from the pages of these magazines or at least served as a jumping off point to search the Internet. I cut out pictures and ripped out articles that went into a big yellow envelope. How I wish Pinterest had been a thing at this time! It’s the free and more eco friendly version of exactly what I had been doing. A downside I see in Pinterest wedding planning is that there is so much to look at- possibly too much. Having a billion ideas is probably great shortly after the engagement, but once you have a more defined direction to go in, there is such a thing as too much information. Don’t get overwhelmed by ideas; delete pins that no longer fit into your theme or budget. 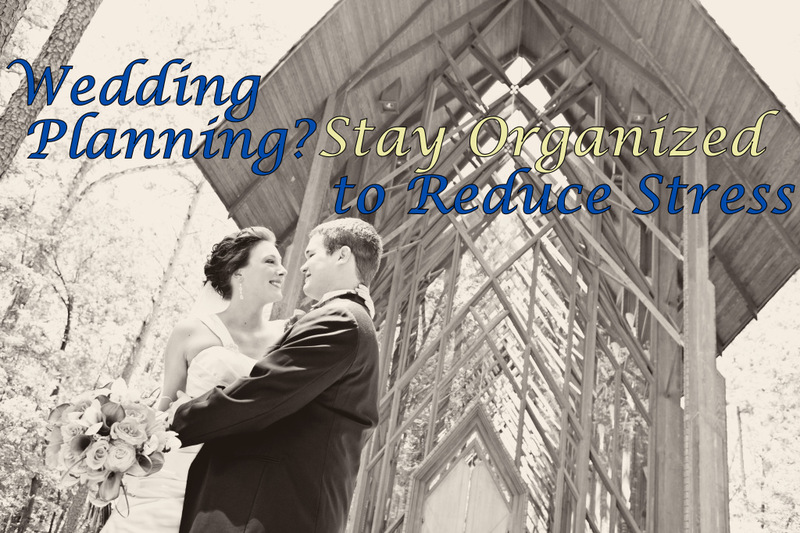 Keep your wedding board(s) free of clutter to stay focused. You will be so caught up in the magic of the day that you’ll hardly do anything yourself. Your wedding attendants, family, and close friends will likely be thrilled to help any way they can, so exercise your delegating skills for all day-of responsibilities. Ask people to grab snacks for the wedding party while they get ready, open and close the door for your big entrance, cue the wedding party to walk down the aisle at the right time, ensure guests sign the book as they arrive, give tips to the vendors at the end of the reception, get people dancing if the guests are hesitant to get on the floor, bustle your train after the ceremony, and set up or take down decorations. To come up with this list, grab a pen and paper and close your eyes, trying to imagine the day start to finish. When you feel like you’ve thought of everything, ask a recently married friend what duties needed to be taken care of on his or her wedding day. Utilize the people around you! Because I handled so many elements of my wedding myself I had a great deal of supplies to transport to the ceremony and reception sites. Items like a unity candle, a memorial vase, a wooden directional sign, iPod, cake server, champagne flutes, card box, food and table signs, and not to mention overnight bags for everyone and the dress were all brought by my family. I did my best to organize all items into plastic tubs labeled by location (ceremony, reception, or hotel). The tubs had a list taped to the lid identifying the contents and a description or diagram of where items were to be placed. If you’re the only person who knows where things belong, anyone helping will have to ask you, “Where does this go?” Make it easy for people to help by sharing your vision, and communicate your plans so you aren’t alone. In addition to traveling back in time to tell myself not to worry about everything so much, I’d also tell myself that it’s not going to be perfect. Things go wrong. There will be hiccups, but no one will care. It’s okay! For example, the pen I bought for the guest poster (rather than a book) didn’t end up with it at the ceremony. The only reason I remember that is because the poster hangs above my bed. I seem to recall there being a few other minor mishaps, but I honestly don’t remember what they were. I only have fond memories of celebrating with the people I love most in the world. If you planned your own wedding, what was your experience like? Do you have advice to add? Photo courtesy of Cottonwood Studios. I WISH that Pinterest was around when I got married. Instead I wasted a bunch of money on bridal magazines and cut out pages and pictures and put them in a folder that came with me everywhere. We had an event planner at our venue, but her job was more to manage the kitchen and staff on the day. I used a big checklist and had a binder with all our wedding info in it. I would say just about everything I planned had one flaw or another, but it was still the perfect day for me! That’s a nice person to have! At least food was one thing you or a loved one didn’t have to worry about. I’m glad your day was perfect! Great advice! I plan events as part of my job, so I really wonder if I’ll be good at planning my own wedding or if I’ll just go all bridezilla on everyone. Good question! I bet you’ll be good at staying organized and thinking of things that might slip the mind of someone without event planning experience, but I can also see wanting to be in control of everything rather than delegate because that might be what you’re used to when in charge at work events. Great tips! I didn’t have Pinterest when I got married and sometimes I think “thank god” or I might have gone crazy over all the cool DIY stuff on there, haha. My guess is that Pinterest weddings may be a little unrealistic for some. I may have loved it for the ideas, but I know my DIY projects rarely turn out Pinterest worthy! I also think all the perfection of Pinterest weddings could make sticking to a reasonable budget difficult.